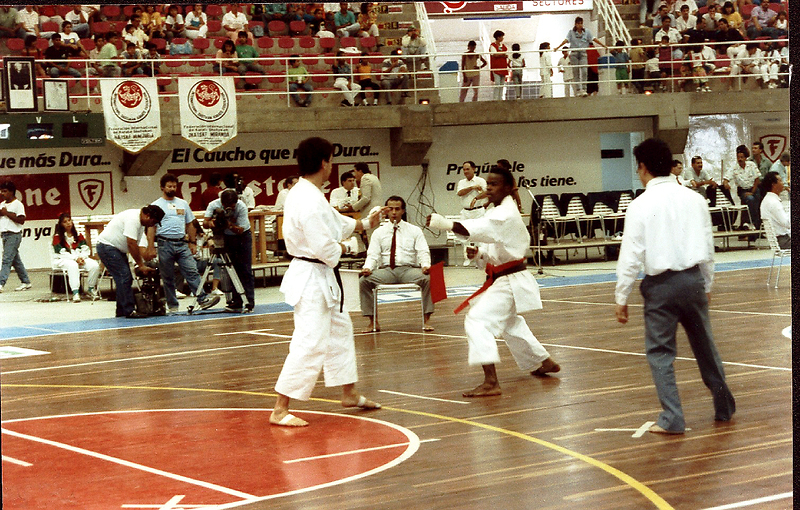 Derrek Aragon sparring in the eliminations of the Pan Am Championships in Valencia, Venezuela, 1991. He went on to the finals and was blatantly robbed of the championship. The US teams went on to win both kumite and kata in the men’s division.